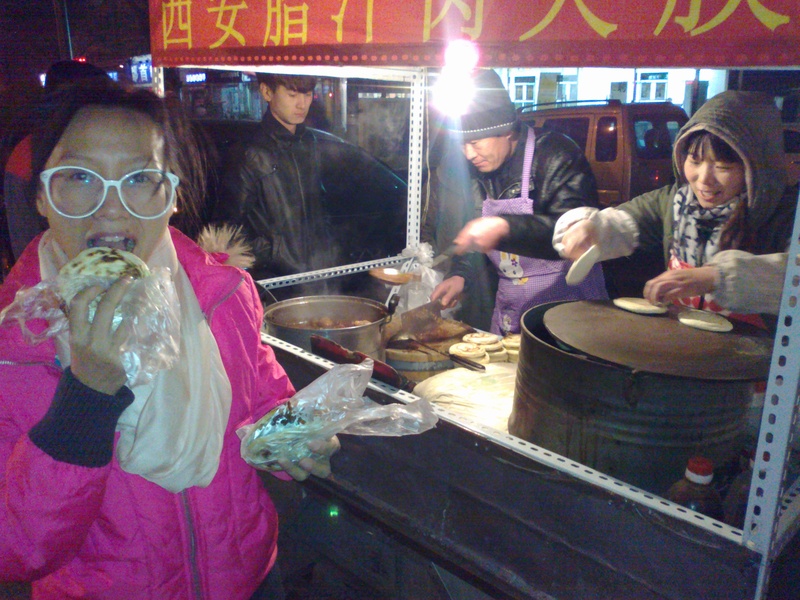 Long before McDonald’s opened their doors here, Chinese people were already eating hamburgers. Of a sort. 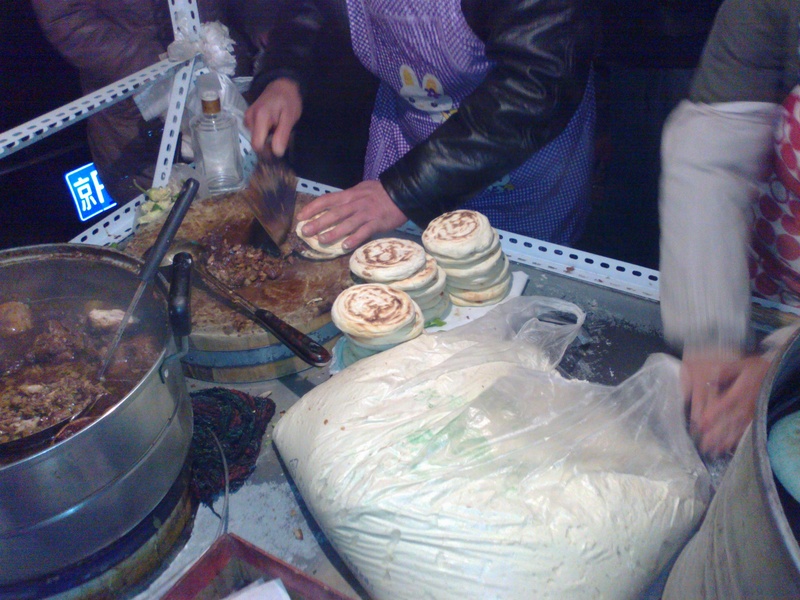 On my way back from the subway station I sometimes stop at a stand selling roujiaomou. 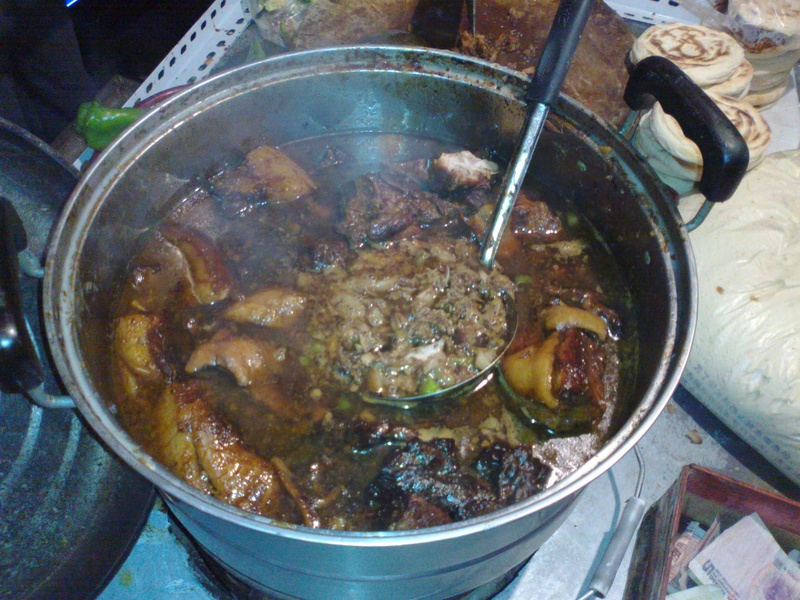 First pork (‘rou’) is stewed in a sauce containing a mixture of twenty spices. After it’s been in there for a couple of hours it can be fished out and chopped up, with a ladleful of gravy added to the mix to stop it being too dry. 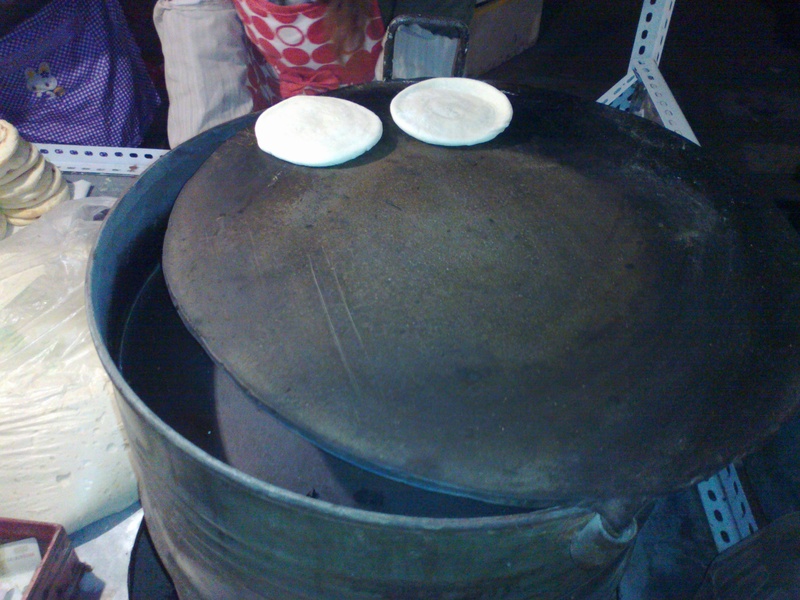 Meanwhile his partner rolls out dough to make crispy little flat buns (‘mo’), which she then cooks on a coal-fired hotplate. The mo is cut in half, the rou is slotted in the middle. If you want coriander leaves or chopped peppers you can ask at this point. We didn’t want any. Here’s V with the finished item. How does it taste? Really, really good, of course. This entry was posted in food tube and tagged chinese food. Bookmark the permalink.